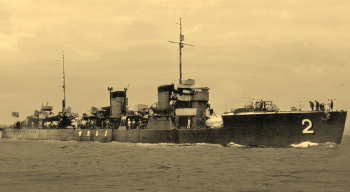 Dimensions 336'7" by 29'6" by 9'6"
Nadakaze and Shimakaze were converted to patrol boats prior to the outbreak of war. Their armament was 2 4.7" guns and 18 depth charges, and they carried two Daihatsu landing craft and 250 troops. 1944: Armament typically included 13 to 20 25mm/60 AA guns and 5 13mm/76 machine guns. 1945: Armament typically 2 4.7" guns, 12 25mm AA guns, 2 21" torpedo tubes, 36 depth charges. Namikaze and Shiokaze were rebuilt as Kaiten suicide boat carriers. The Minekazes were completed in 1920-1922 in the Mitsubishi Nagasaki yards and the Maizuru naval yard. They were influenced by German destroyer design, with the 4.7" (120 mm) main armament that had become standard for Japanese destroyers. Their guns had rather poor arcs of fire and their forward torpedo tubes were liable to water damage in heavy seas. They were very fast for their day, but inefficient, with a range significantly less than their American counterparts in spite of a greater bunkerage (originally 395 tons). 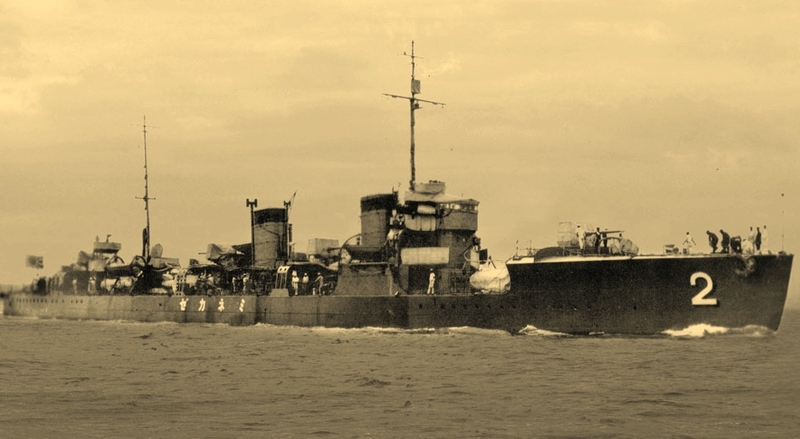 A total of 24 were built, making them the backbone of the Japanese destroyer force until the completion of the Fubukis. 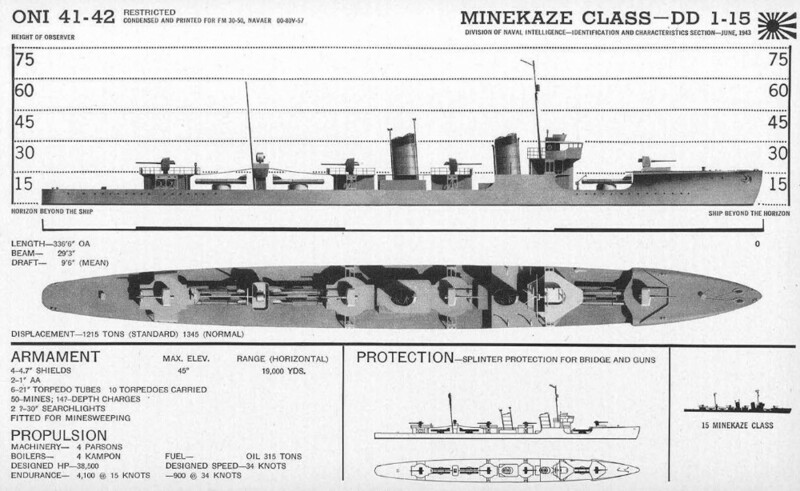 In this respect, the Minekazes were somewhat analogous to the American "flush-deckers." Though very fast, they were underarmed and becoming obsolescent by the time war broke out. Most had their hulls strengthened in the late 1930s to improve their seaworthiness, at the expense of speed and range. Two had been converted to high-speed transports (rated as patrol boats) and a third to a target ship.